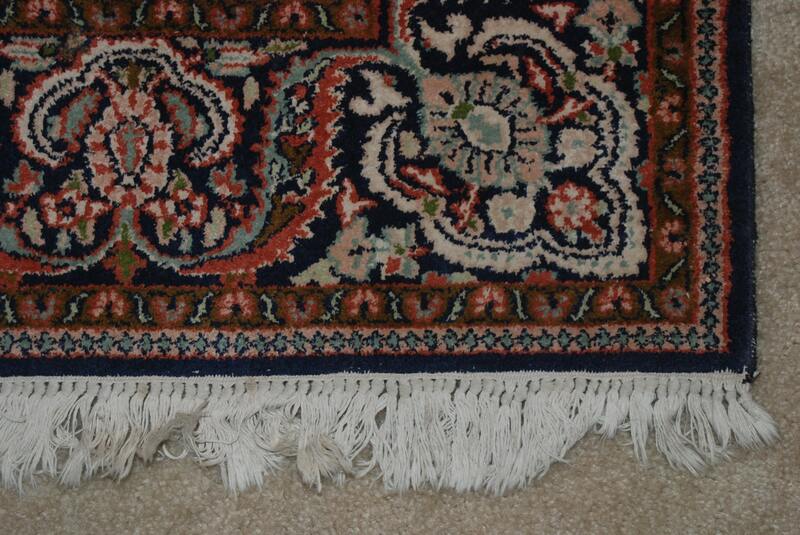 This gorgeous little rug has traveled a great deal of the world before it met you. 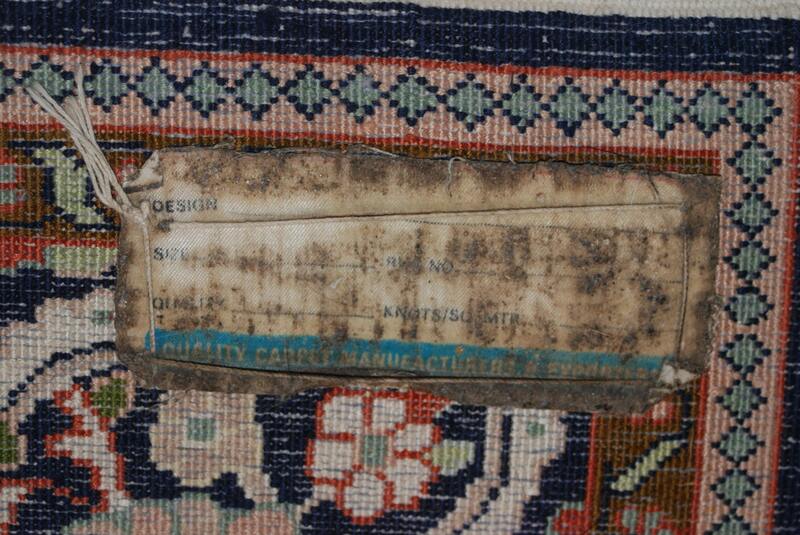 It started life at the world reknowned looms in Kashmir, India in Srinigar. 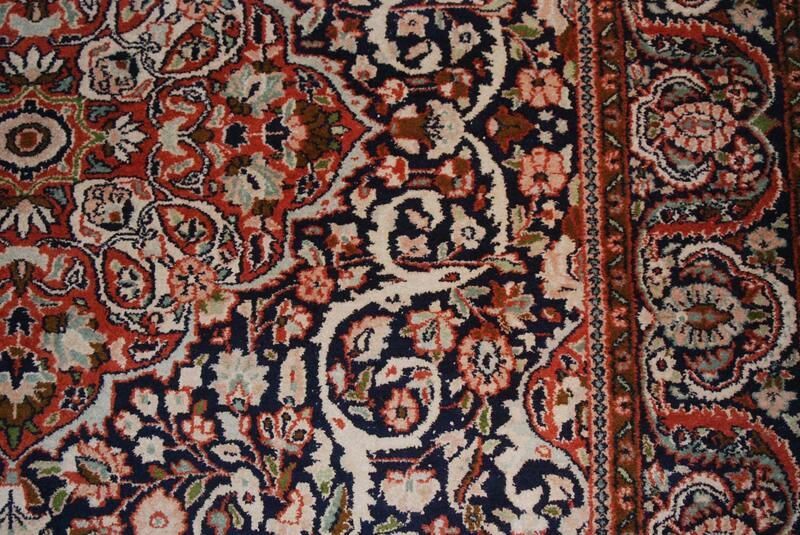 The rug was purchased by close friends who acquired it directly from the weavers in Kashmir. 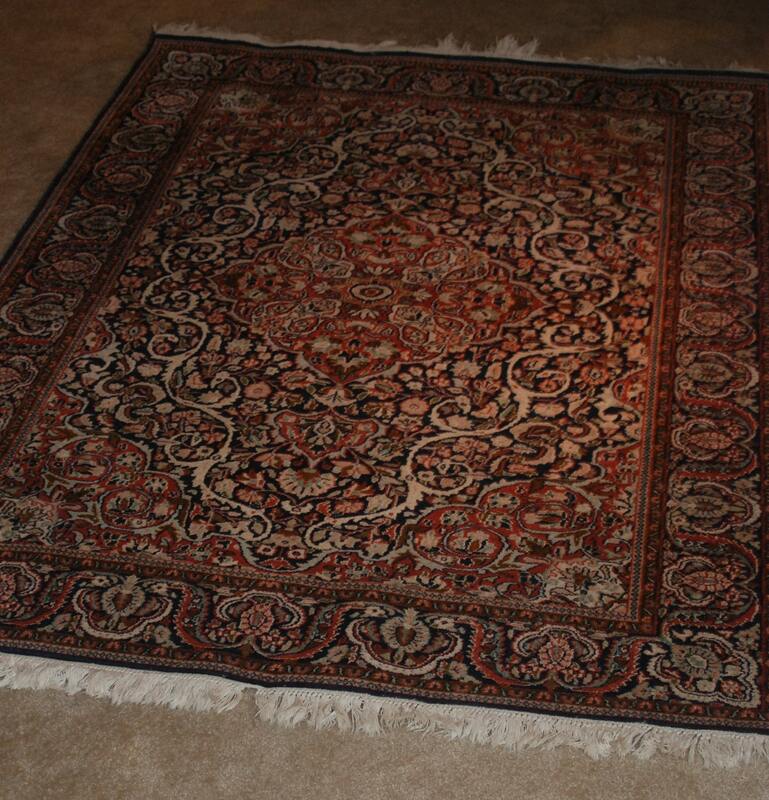 The rug subsequently went to Zimbabwe where it resided until finally returning to the United States in recent years. 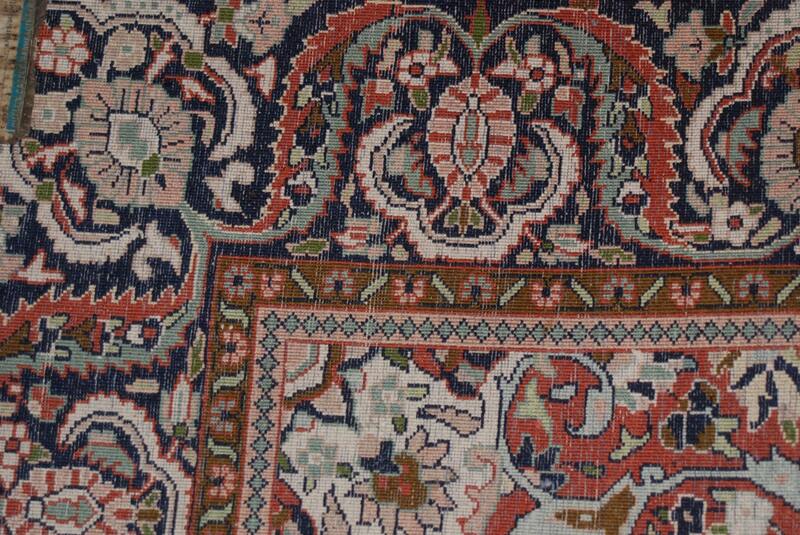 This is a Kashmir Kashans design carpet. Quality is excellent and condition is good.